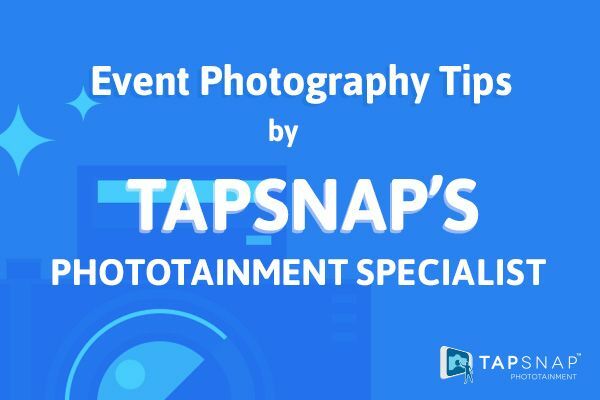 Event Photography Tips by TapSnap’s Phototainment Specialist! As a photo booth rental company, event attendees and rookie photographers often ask us for tips on taking good photos at events. There is plenty of information floating around on being a good photographer which can be overwhelming and counterproductive. With this in mind, we turned to our Phototainment Specialist, Claire Nagle, for her top event photography tips. Here are her suggestions for being a good photographer and taking good photos at any event. A good photo is one that is framed correctly. Use the grid feature on your camera or phone to align your photograph, and ensure that it isn’t crooked. 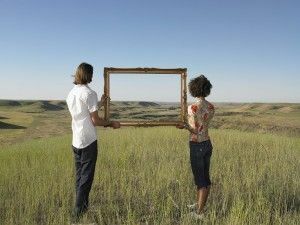 Natural frames, such as doors, windows, or more can also be used to your advantage as they aid in taking good photos. Also consider the positioning of your subject, and what will and will not appear in the shot—you wouldn’t want ugly wires ruining an otherwise great picture! The number one rule when it comes to photography is to be prepared for the lighting at the event’s venue. Know what lighting you’ll be working with beforehand by asking questions about where you will be set up. Here’s a pro tip for setting up photo booths: don’t be afraid to request a location change for your kiosk if the lighting is poor! Be careful with flash photography as well. People can get washed out. It’s best to use a cover for your flash, or stand further away and zoom in to prevent this from happening. When shooting outdoor events, be sure to avoid taking pictures in direct sunlight as it will create a harsh image. Instead, opt for an area that isn’t directly in the sun. This will ensure you’ll capture a softer and more flattering image. Another pro tip: if you’re using a speed light flash and need it to go off in an area with lots of light, cover the viewfinder at the back of the camera. Voila! This will force the flash to go off. If you’re shooting with a green screen background, make sure you know the ins and outs of it. This will help you take better and more engaging photographs as it becomes easier to provide direction to your subjects. While this is a no-brainer, it’s still an important tip to keep in mind. If you’re on a limited schedule, it’s good to know how many attendees the event is expected to have. Formulate a plan-of-action on how you’ll be able to maximize the time you are given to work with. Think of which might be the most important shots and prioritize those first. Claire also recommends focusing more on group shots at first, as opposed to individual ones. If it’s a bad photo, don’t post it on social media! Poor photos reflect badly on your photography skills. Feature only your best work online as social media is becoming more integrated with events and photography. Remember, social media is important to your business, so use it wisely! Another major component of photographs these days is working with hashtags, so keep these tips on how to create a hashtag for an event in mind. You never know when they’ll come in handy! Being a good photographer takes practice, but with these event photography tips, taking good photos won’t be left up to chance. Claire is a TapSnap Phototainment Specialist. 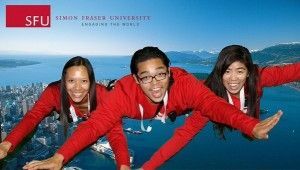 Putting the British in Columbia, Claire relocated to Vancouver from the UK in 2008 – she says for the weather, but we all know that it’s for her secret love of Michael Bublé. A TapSnapper from the beginning, Claire is the life of any party. Contact her to see how TapSnap can spice up your event!